2018 IFR Awards: Winners Announced! 2017 IFR Awards: Host Announced! The winners of the 2018 IFR Awards have been announced and are available to view here! The Awards will be presented at the 2018 IFR Awards Dinner, taking place on the evening of Tuesday January 29 2019 at Grosvenor House, London. Considered to be the most prestigious event in the global capital markets calendar, it will see over 900 of the world’s most senior and successful investment banking professionals gather to celebrate capital markets excellence. Don’t miss out on the premier event in the global capital markets calendar – book your table today! 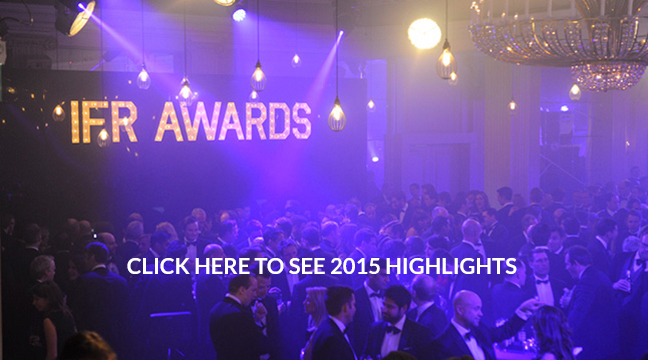 Why Attend the IFR Awards Dinner? Come and congratulate yourself, your team and the industry for high perfomance and achievement over the past 12 months. Whether you win an Award or not, the IFR Awards Dinner is an occasion not to be missed – and a fantastic opportunity to motivate your team for the year ahead. The IFR Awards Dinner is the most prestigious event in the global capital markets calendar and is attended by the cream of the investment banking industry. This is the one opportunity of the year to socialise and network with over 900 of the world’s capital markets elite. 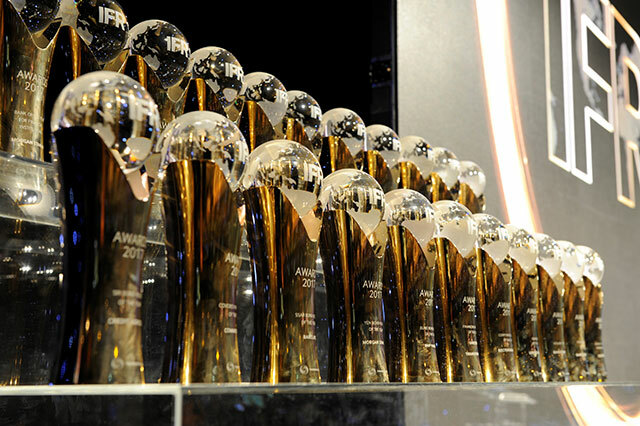 Over the years, the IFR Awards have built an enviable reputation for providing enteratinment of the very highest quality. Last year’s event was hosted by Rob Brydon, with previous hosts including Dara O’Briain, Marcus Brigstocke and Graham Norton. The event will once again feature our traditional tombstone auction for Save the Children. With over £25million raised in 22 years, the IFR Awards Dinner remains Save the Children’s largest single annual fundraiser. As one of London’s most distinguished addresses, Grosvenor House is the epitome of traditional elegance and style. With over 900 of the world’s most senior executives attending this illustrious event, it is the only hotel in Europe with the capacity to cater for this level of demand.